This Movember, the team at Vizual have decided to get active for charity, as well as grow some delightfully dapper moustaches. Also, Alan Evans, John Evans, Paul Newman, Robert Dye, Peter Clarkson and Nick Griffiths have all shaved themselves squeaky clean ready to spend the month growing out a full moustache. We’re not sure if the photograph shows their target moustache style or not, but it’ll be interesting to see the final results at the end of the month. Movember is a time for raising awareness around Men’s Health issues, in particular that of prostate cancer, testicular cancer and men’s suicide. Lots of folks grow moustaches and take part in other activities to raise money for charities. 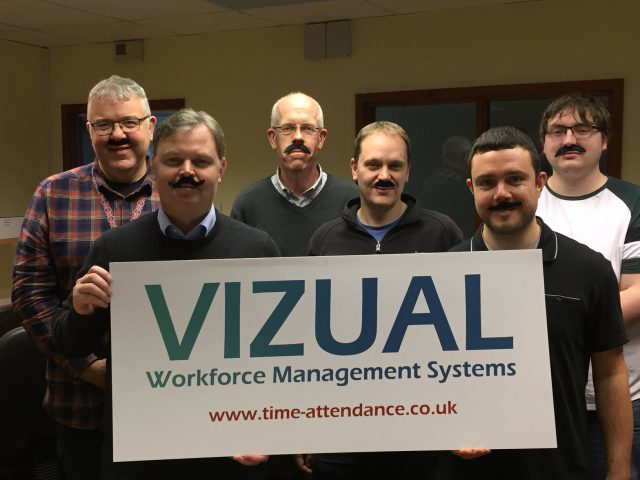 If you would like to donate to the Vizual team’s efforts, then you can do so by clicking this link and donating a cheeky couple of quid to the Vizual Management Mo’s. It’s all for a good cause, and the folks here would greatly appreciate your support. Alternatively, why not get involved, start your own group, grow out some glorious lip-wigs and help raise awareness for Men’s Health Issues this Movember. Donate to the Team Here.